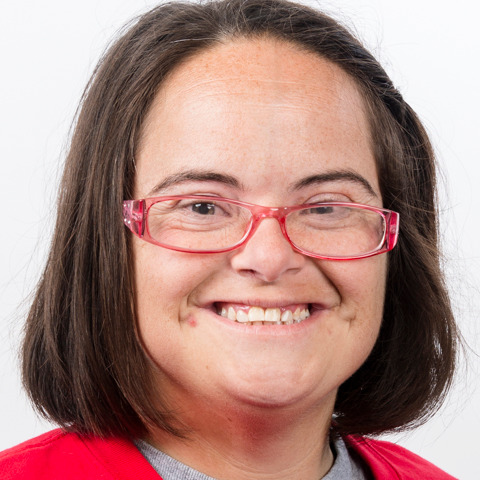 Taryn Grubb has been part of Special Olympics for 23 years competing in bowling, basketball, swimming and volleyball. When she is not training, she can be found working at Dillons where she has been a courtesy employee for the last 19 years. In her free time Taryn loves to listen to country music and crochet blankets for everyone! She has always been a fan of her brothers' sports and Special Olympics is a place where she feels like she can be herself and she is always accepted. Taryn can't wait to go to Abu Dhabi - "I am ready to bowl," she said. "I want to do my best and make everyone proud of me! Go USA!"